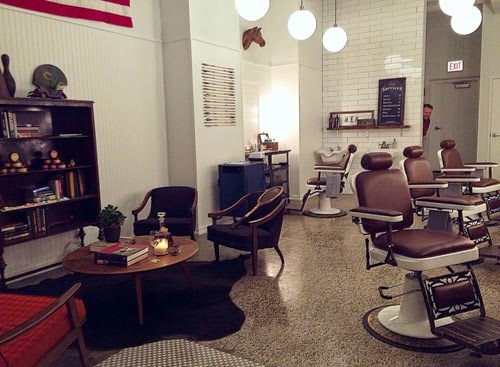 #FLATSPROJECT winner "The Public Barber" is now open at 1319 W. Wilson. The Flats Project awarded The Public Barber $100,000 in benefits to help get the shop up and running in Flats No. 1325. The interior looks amazing and we wish The Public Barber much success in our revitalized Wilson Avenue business district! Read more about the FLATS Project here. Hard to believe this was once a cupcake shop! Its website says, "Our goal is to bring the community back to the barbershop, through genuine conversation, community events featuring local artists and musicians, and partnerships with surrounding small business. Everyone is welcome through our doors … So please, stop in, say hello, and be groomed." The Public Barber is open Monday through Saturday and can be reached at 773-754-7363. Its Facebook page (from which these images were taken) is here. 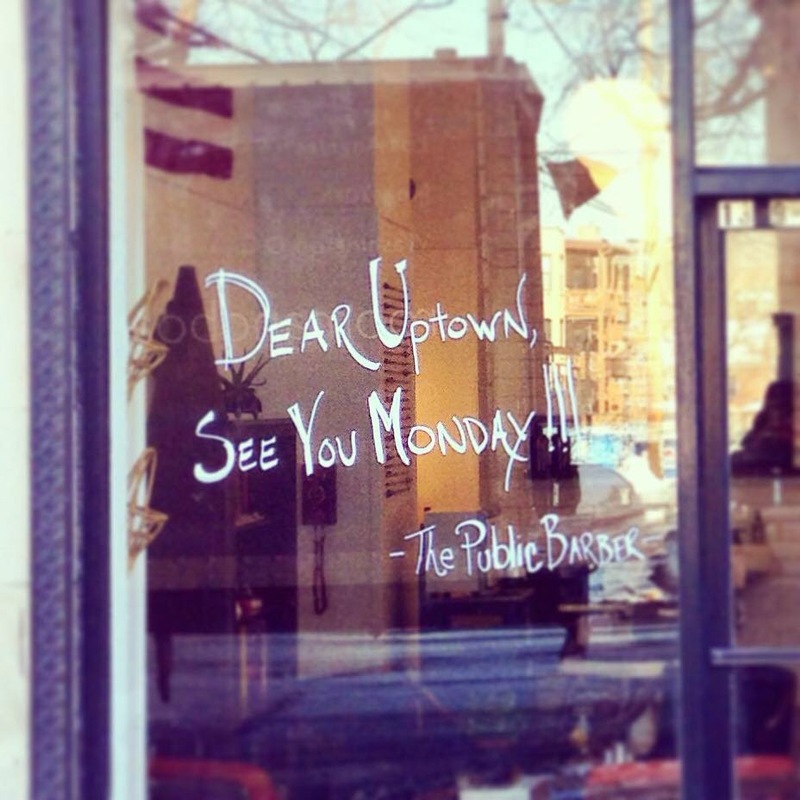 If you're in the neighborhood, stop by and welcome them to Uptown and wish them good luck in their new endeavor.